Backed by around 3 decades of industry experience, we are one of the leading manufacturers and suppliers of industrial components such as tubes and panels, economizers, coils and blowers. These cater to the demands of various sectors such as boiler plants and thermal power stations. Our process equipment range has been appreciated for their features such as dimensional accuracy, application specific design, durability and corrosion resistance features. Water wall tube panels & boiler tube panels are fabricated as per accepted engineering practices and tolerance in dimensions and are maintained as per national & international codes. 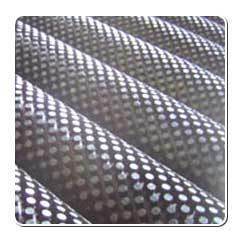 Our range of tubes and panels includes tube panels, shaped boiler tubes, studded tubes, finned tubes and gilled tubes. 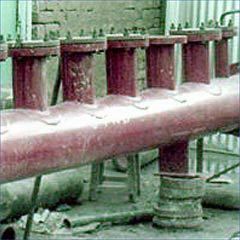 Tube economizers for boilers are fabricated by us is manufactured by using high grade ERW and seamless tubes. In case of cast iron Gilled tubes, fins of graded casting are used. IBR or 3rd party inspection under taken. Our range of tube economizers includes CI gilled tube economisers, ms square tube economizers, round gilled tube economizers, coiled-tube type economizers, finned tube economizers and horizontal finned tube economizers. 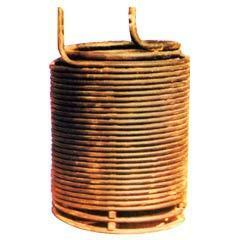 We manufacture and export quality Boiler Coils. 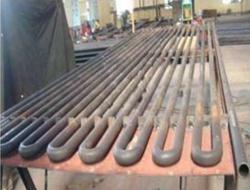 Super heater coils, economiser coils, Air heater coils and spiral coils fall in our regular range of fabrication. Carbon steel (Seamless & ERW) and Alloy Steel tubes are used to manufacture Boiler Coils. Tailor made or customized products are offered. IBR or 3rd party inspection is undertaken. We manufacture and export steam distribution headers. 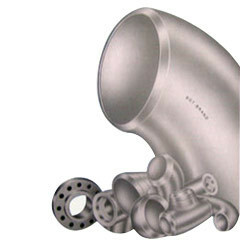 Our steam distribution headers are suitable for high pressure and temperature services. These are customised or Tailor made nad IBR or 3rd party inspections required. our range includes boiler steam distribution headers. 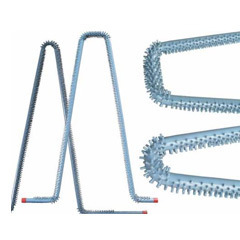 We manufacture and export quality fabricated Moisture Separators in carbon steel or alloy steel materials. We ensure 100 % efficiency. 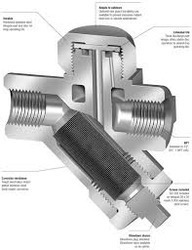 Our Moisture Separators are also known as steam separators. These are customized and Tailor made. IBR or 3rd party inspection is undertaken. 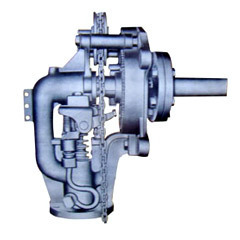 We provide soot blowers, used to blow off soot and other foreign material from the outer surface of the pressure parts, to make the heat transfer more efficient. Material suitable to withstand high temp. soot blowers, is used in elements. Range of Soot Blowers offered includes Fixed position, Rotary type and Retractable type soot blowers. We manufacture and export carbon steel valves. Our range of carbon steel valves includes forged valves that includes Globe valves, Gate valves & Check Valves in cast steel or forged steel valves. We undertake designing, fabrication, erection and commissioning of high pressure steam pipings. We also provide computerised designing for steam pipings. Customised or tailor made requirement undertaken. IBR or 3rd party inspection undertaken. Our range includes steam pipe fittings, steel steam pipe fittings and alloy steel pipe fittings. 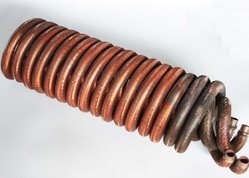 Pioneers in the industry, we offer boiler coils and super heater coil from India. Prominent & Leading Exporter from New Delhi, we offer spiral coils. 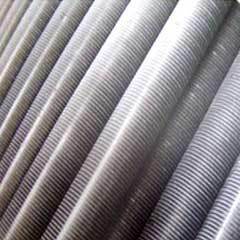 Leading Exporter of bed evaporator coil from New Delhi.